Heel spurs are a common foot problem resulting from excess bone growth on the heel bone. 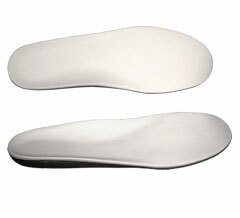 The bone growth is usually located on the underside of the heel bone, extending forward to the toes. One explanation for this excess production of bone is a painful tearing of the plantar fascia connected between the toes and heel. This can result in either a heel spur or an inflammation of the plantar fascia, medically termed plantar fascitis. Because this condition is often correlated to a decrease in the arch of the foot, it is more prevalent after the age of six to eight years, when the arch is fully developed. Heel spurs develop as an abnormal growth in the heel bone due to calcium deposits that form when the plantar fascia pulls away from the heel. This stretching of the plantar fascia is usually the result of over-pronation (flat feet), but people with unusually high arches (pes cavus) can also develop heel spurs. Women have a significantly higher incidence of heel spurs due to the types of footwear often worn on a regular basis. Most people think that a bone "spur" is sharp and produces pain by pressing on tissue, when in fact, these bony growths are usually smooth and flat. Although they rarely cause pain on their own, bone spurs in the feet can lead to callus formation as tissue builds up to provide added cushion over the area of stress. Over time, wear and tear on joints may cause these spurs to compress neighboring ligaments, tendons or nerves, thus injuring tissue and causing swelling, pain and tearing. Heel spur surgery should only be considered after less invasive treatment methods have been explored and ruled insufficient. The traditional surgical approach to treating heel spurs requires a scalpel cut to the bottom of the food which allows the surgeon to access the bone spur. Endoscopic plantar fasciotomies (EPF) involve one or two small incisions in the foot which allow the surgeon to access and operate on the bone spur endoscopically. 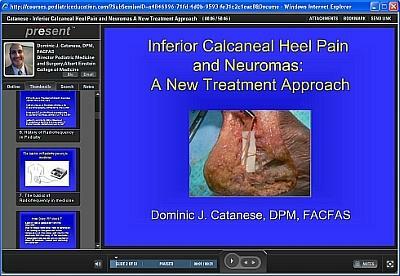 Taking a surgical approach to heel spur treatment is a topic to explore with a foot and ankle specialist. Prevention of heel spur syndrome may be best by finding a good supportive shoe. Never go barefoot or wear a flat soled shoe. There are many over the counter arch supports that give increased support for your feet. Usually when there is excessive pronation the Achilles Tendon contracts or becomes shortened over time since it is not being used fully. The shortened Achilles Tendon is called an equinus deformity. By keeping this tendon stretched it may decrease some of the tension in the foot. Some theories believe the Achilles Tendon and plantar fascia is continuous. Before you get up from rest, stretch out your Achilles and the plantar fascia. You may attempt to spell the alphabet with your foot and ankle, use a towel against pressure on your foot, or roll a can of soup or sodapop on the ground. Ice may work well at the times of severe pain. For a chronic pain, or longer lasting pain heat therapy may improve the condition. rosellahannafin is using Hatena Blog. Would you like to try it too?